Let’s just get this out of the way right now, yes I ironically used a z in the word cheese and yes, I also put quotes around it. That’s happening and I am totally into it. OK onto the show. My hubby is like most, a meat and potatoes man. He’s a no-frills, gimme what’s easiest, fastest and tastiest – kinda guy. Of course, being that I make most of the meals around here, I can keep his poor decision making and junk-food loving ways in check. Over the years I have proudly gotten him off soda, I have proven that a piece of good quality dark chocolate after dinner can be just as satisfying at 4 Oreos, I have convinced him that it’s possible to eat more than just meat and still eat well and my latest feat, showing him that we don’t necessary HAVE to have a starch or grain at every single meal. Football season however, this is a tough time around here, it can be a hard sell on the plant-based, less processed foods. Mark LOVES football and he LOVES eating the worst foods while watching it. If he had it his way, he’d be munching on fried chicken, eating a pile of nachos, diving face first into pizza and Buffalo wings and I don’t even want to think about what sweet he’d finish it all off with. He’s always asking me to come up with fun football snacks for him and of course, I try to always deliver him a much more mindful, yet still comforting treat. He never asks me to make him something “healthier”, per se, but I am smart enough to read between the lines. He could easily go to the store and get the junk for himself, he certainly knows how to pick up the phone and order a pizza. I think deep down, though he may never admit it, he wants me to take care of him and make these better choices for him. No complaints here! 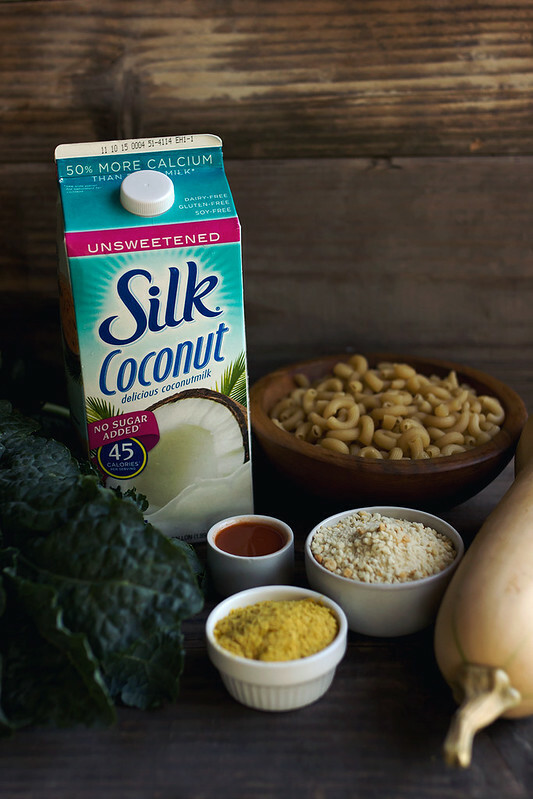 The folks over at Silk are challenging us with the #MeatlessMondayNight this football season. 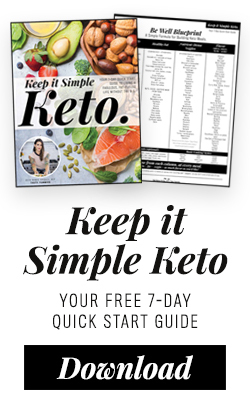 Adopting a more plant-based diet for can start with making a change just one day a week – so why not start by sidelining meat during Monday Night Football games this season? 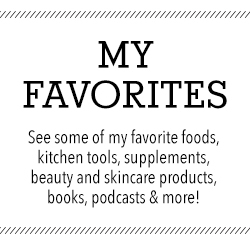 I sat down this weekend asking Mark about the kinds foods that he might want while watching football, I took notes and I got to crafting recipe ideas. 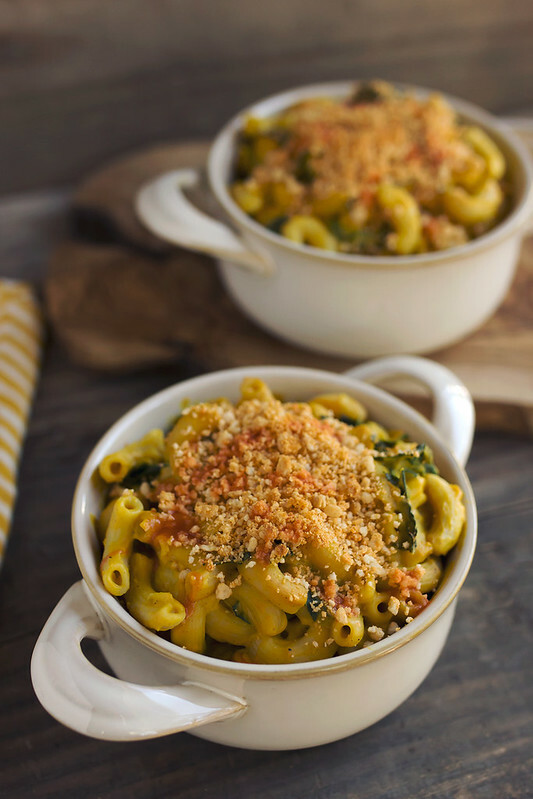 I went back to him and asked which sounded most exciting and he picked this Spicy Butternut Squash and Kale “Cheezy” Mac. 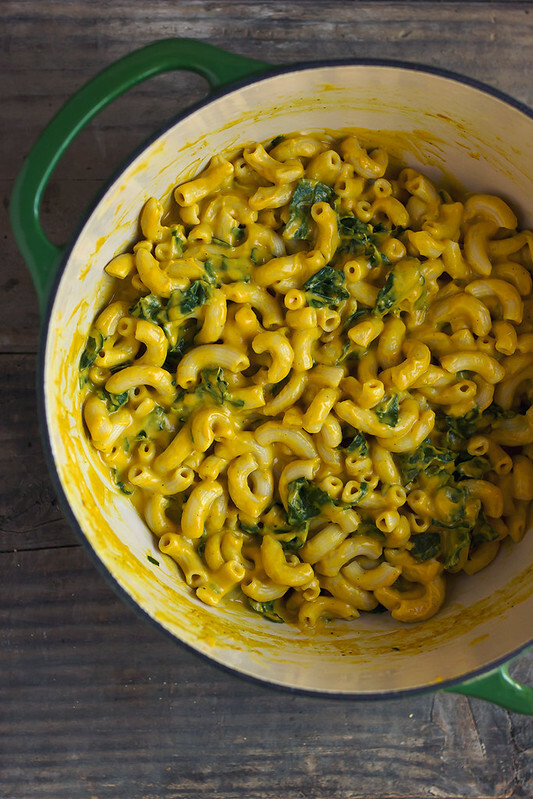 This lightened-up, real food version of a vegan mac and cheese literally lit up his face. He finally trusts that when I do plant based meals, it’s as he puts it “actually really good”. I skip out on the soy-loaded store-bought sauces, the tofu, the faux butters and the fake cheeses. I just don’t trust them. 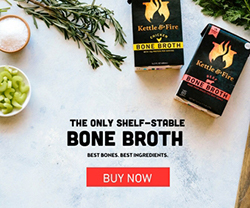 Rather, I opt for using real, nourishing whole foods as a means to make a meal where you will never miss the meat. 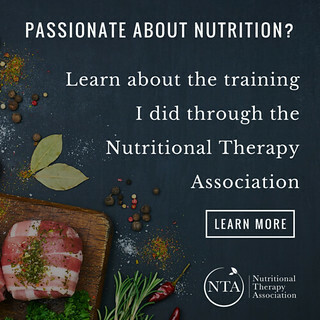 It’s a nice change of pace and I am even more inspired to create these recipes to hopefully encourage more people to turn to fruits and veggies for fun and creative meal ideas. 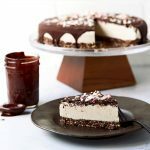 I also wanted to add an extra layer to this challenge when I was creating this recipe and I wanted to come up with something nut-free for those of you that need to avoid them. 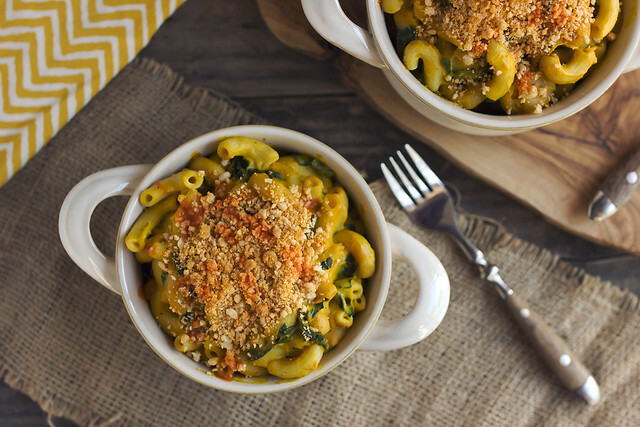 So many vegan and dairy-free mac and cheese recipes use raw cashews, which you all know I love as an ingredient, but I wanted to try something new and more versatile? 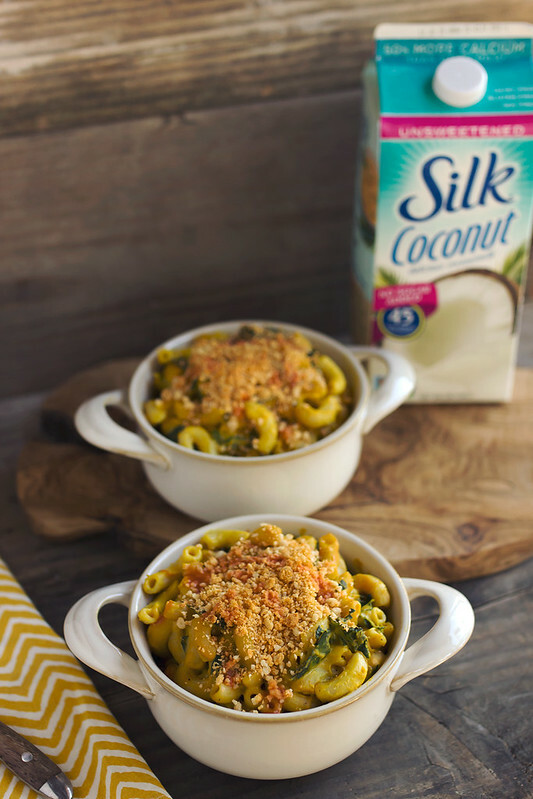 I opted for Silk’s Unsweetened Coconutmilk, which is perfect for a recipe like this. 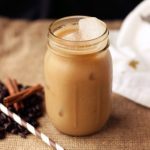 It’s thick and creamy, but unlike traditional canned coconut milk, the coconut milk is much more subtle, non-detectable in a recipe like this. Feel free to use whatever non-dairy milk you prefer. 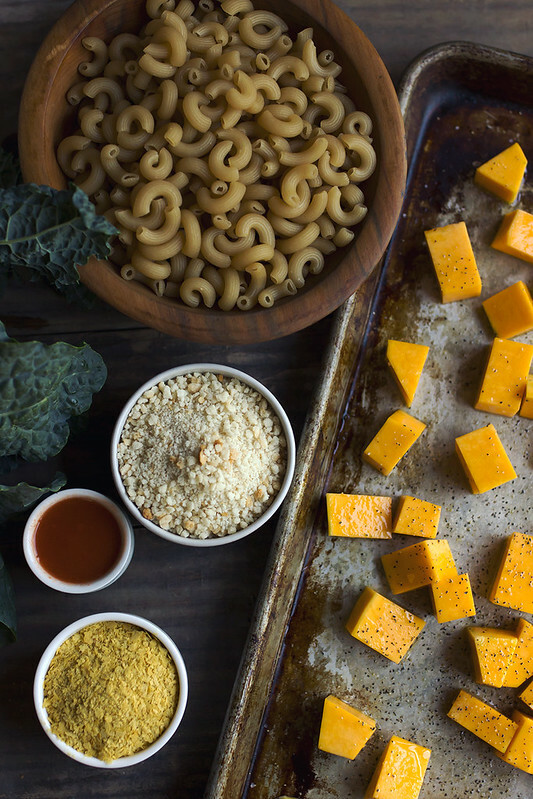 This Spicy Butternut Squash and Kale “Cheezy” Mac is football season ready, it’s spicy, creamy and has a little crunch and with some hearty greens and seasonal squash, we’re getting in lots of healthy vitamins, minerals and antioxidants, too. TOUCHDOWN! Will you take the #MeatlessMondayNightChallenge this football season? Be sure to visit www.silk.com/sidelinemeat for more #MeatlessMondayNight recipes and a chance to win a giveaway! Preheat oven to 400ºF. 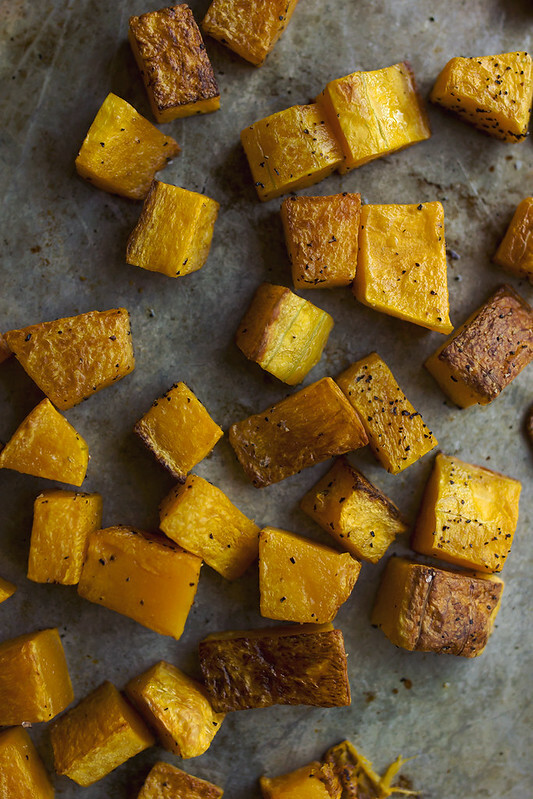 Toss the butternut squash cubes with 1 tablespoon of the olive oil and arrange in a single layer on a baking sheet. Bake for 25-30 minutes, until tender. Tossing once or twice. Reduce the heat of the oven to 375ºF, once the squash is done. Prepare your pasta to package directions. While cooking, roughly tear the kale into bite-sized pieces and place into the colander where you will drain the pasta. Pour the pasta and water over the kale in the colander, allow to drain. Meanwhile, start the sauce. In a large pot or dutch oven, heat the remaining 1 tablespoon of olive oil over a high heat. Add the onions and garlic, salute 3-5 minutes, until tender. Add the non-dairy milk and bring to a low boil, then sprinkle the arrowroot starch over top. Whisk rigorously to combine with the non-dairy milk, until their are no lumps. It will thicken as it heats. 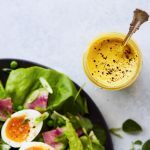 Reduce the heat to a low-medium and add the nutritional yeast, dry mustard, sea salt, ground turmeric and cayenne (if using). Whisk to combine. Once combined and thickened, turn off the heat. Once the squash is done cooking, reduce the heat of the oven to 375ºF. 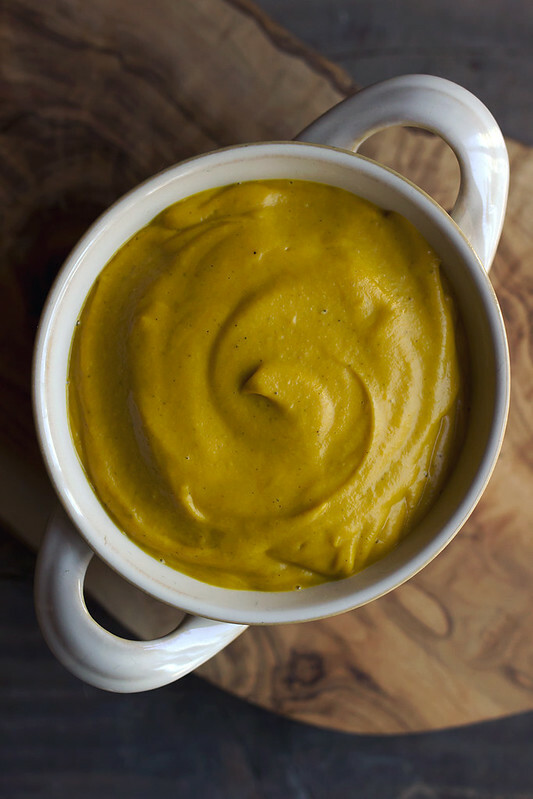 Add 2 cups of the squash to the pitcher of a high speed blender, I used my Vitamix. Add the thickened coconut milk mixture, hot sauce and lemon juice. 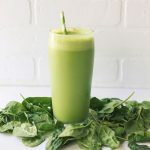 Blend on high until smooth and creamy, adding in a little more non-dairy milk as necessary to keep it moving. 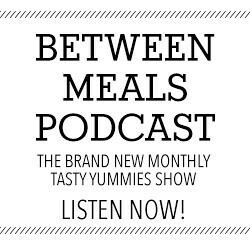 Taste and adjust your salt or other seasonings, as needed. Add the pasta and kale back to the large pot where you started the sauce, pour the sauce over top the pasta. Depending on how saucy you like it, you may not use it all. You can decide. We like it saucy. Toss well to combine and you can either serve as is, or add the crispy breadcrumbs on top and bake quickly to toast them. Toss the breadcrumbs with the hot sauce, until well coated. 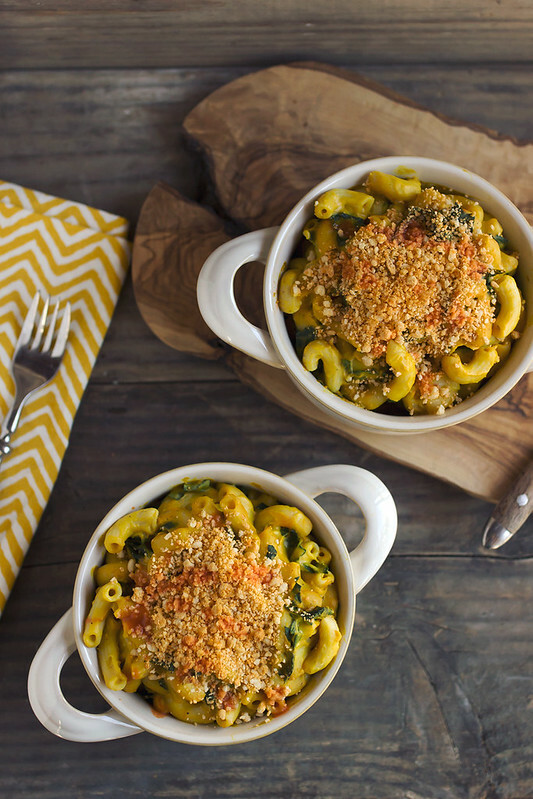 Divide the Cheezy Mac into individual oven-safe dishes, sprinkle the breadcrumbs on top and place the dishes on a baking sheet into the oven for about 10 minutes, or until the breadcrumbs are lightly browned and crisp. Drizzle a little more hot sauce over top, if you’d like. Serve and enjoy! you can also use cooked pumpkin, canned or not. [/print_this]This conversation is sponsored by Silk. The opinions and text are all mine. I can not find organic brown rice pasta any where in South Africa, what can I use as a replacement. Any pasta will work here!